To get good photos you have to get up early to get nice light and color. 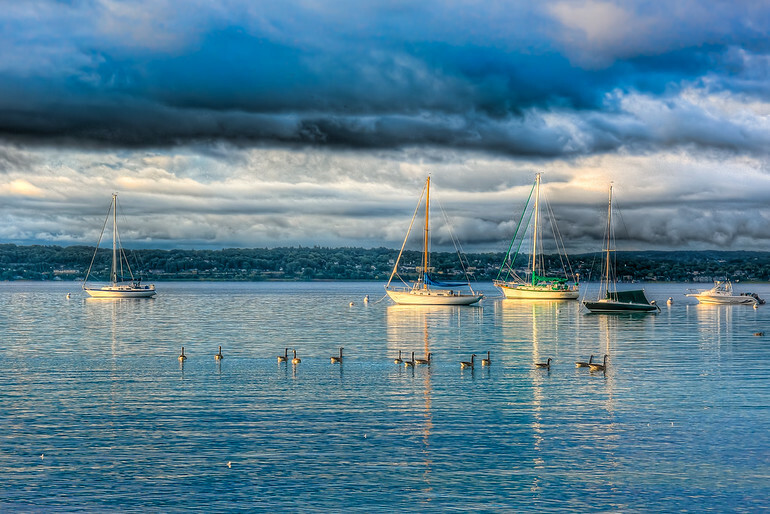 Here I was up early walking along the lake and was able to catch the early sunlight breaking through the clouds and reflecting off the sailboats. Also, water is usually calmer in the morning making a more interesting photo. This morning the sun broke through the clouds and it was a sunny day.